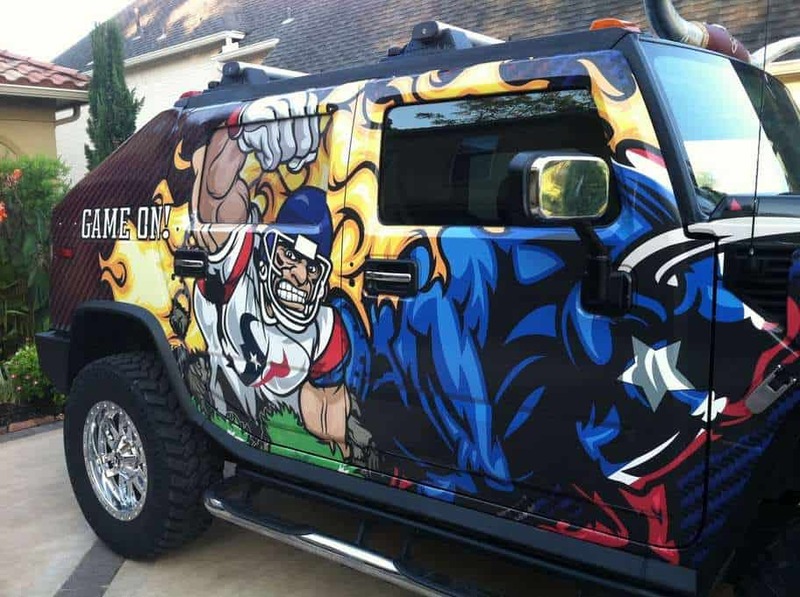 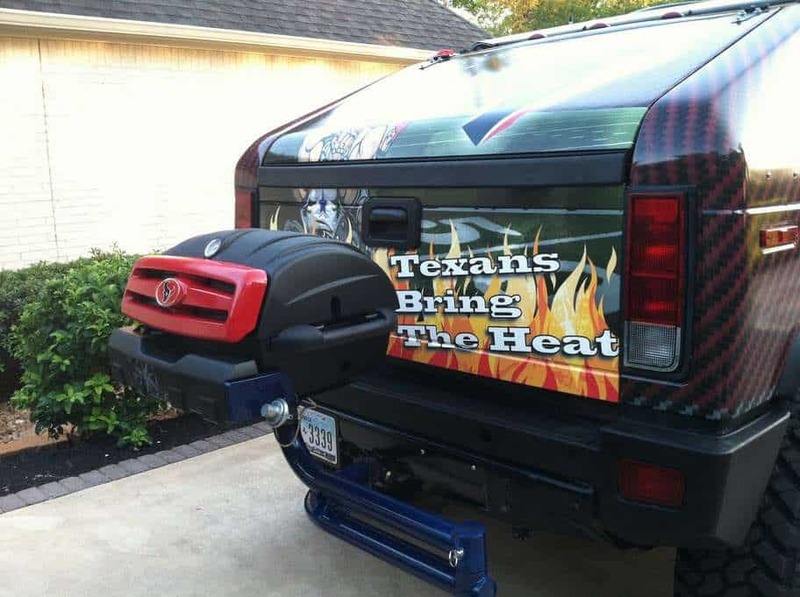 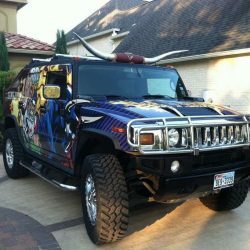 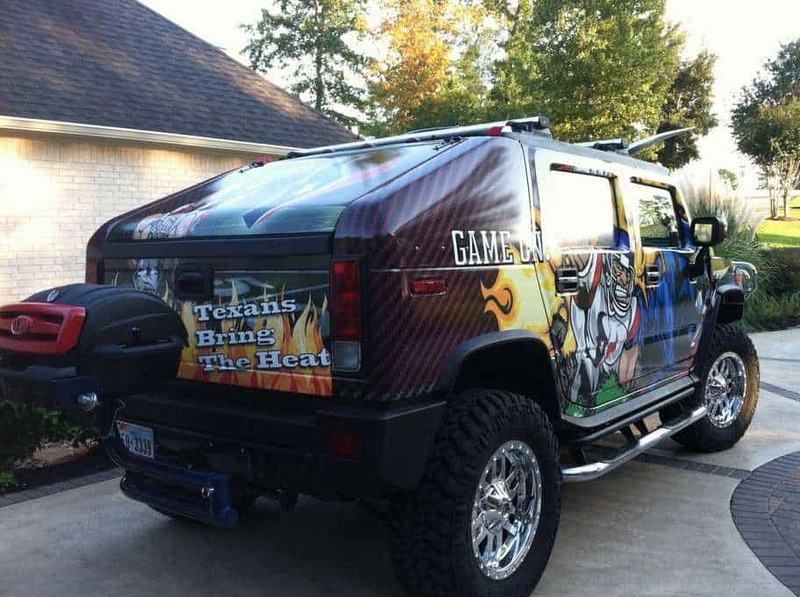 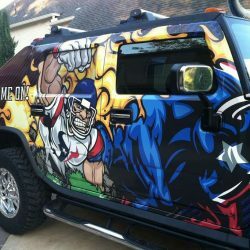 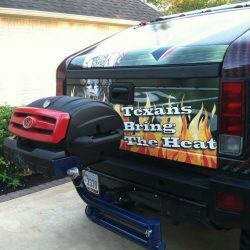 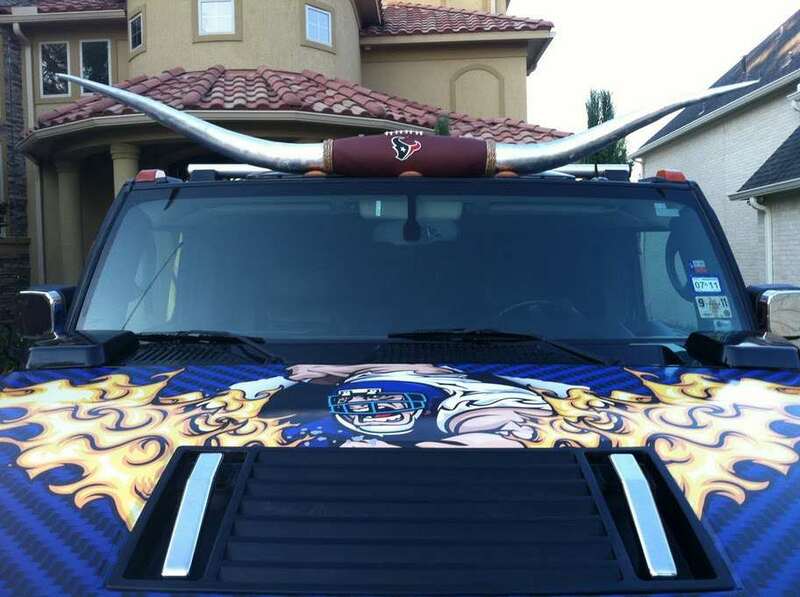 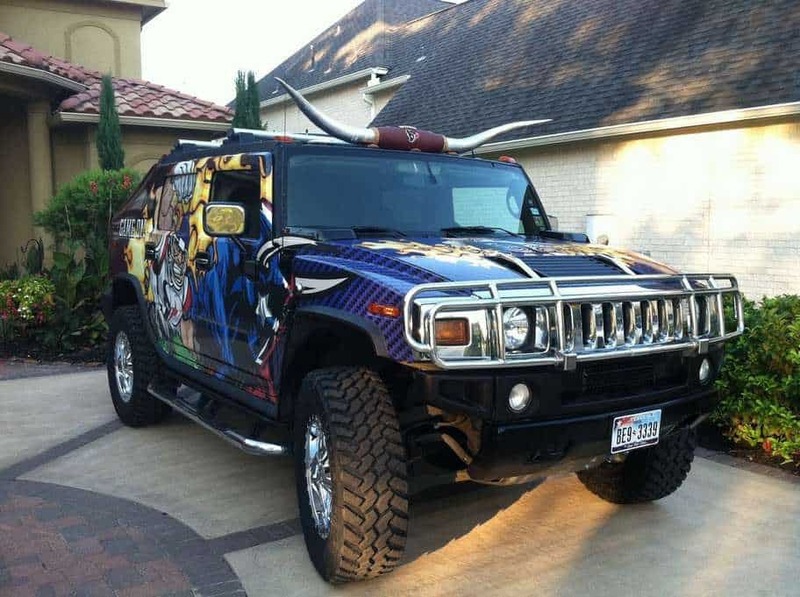 We turned this H2 into a TAILGATING BEAST! 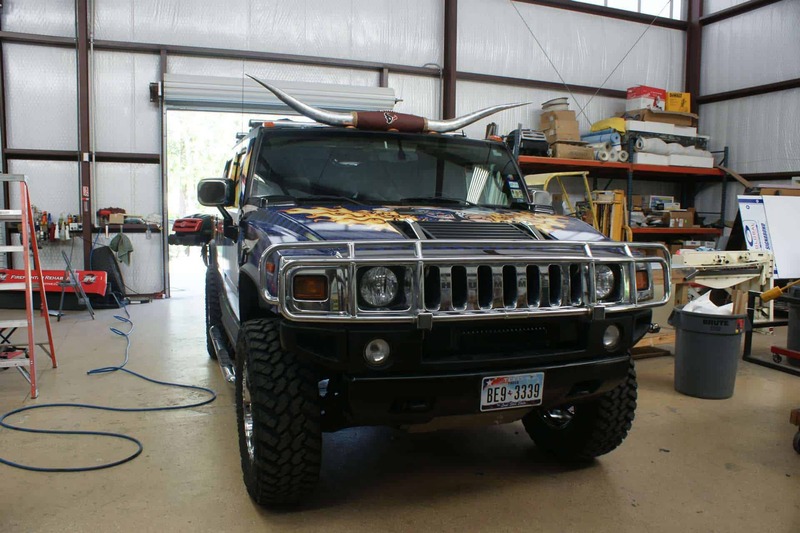 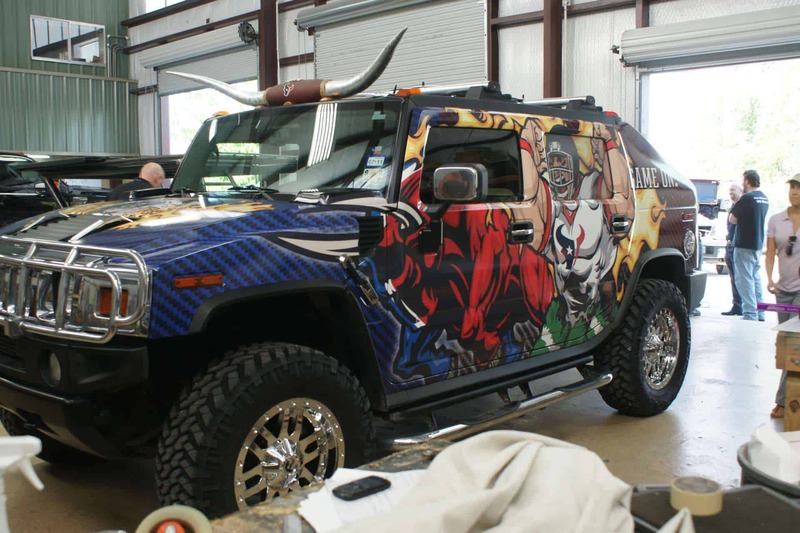 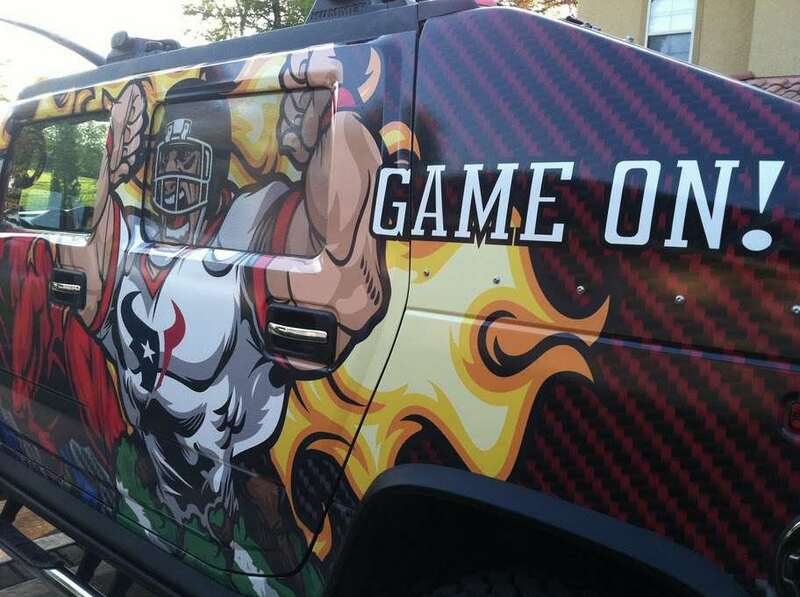 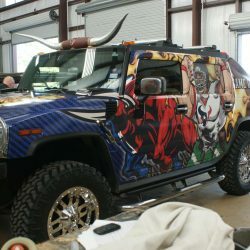 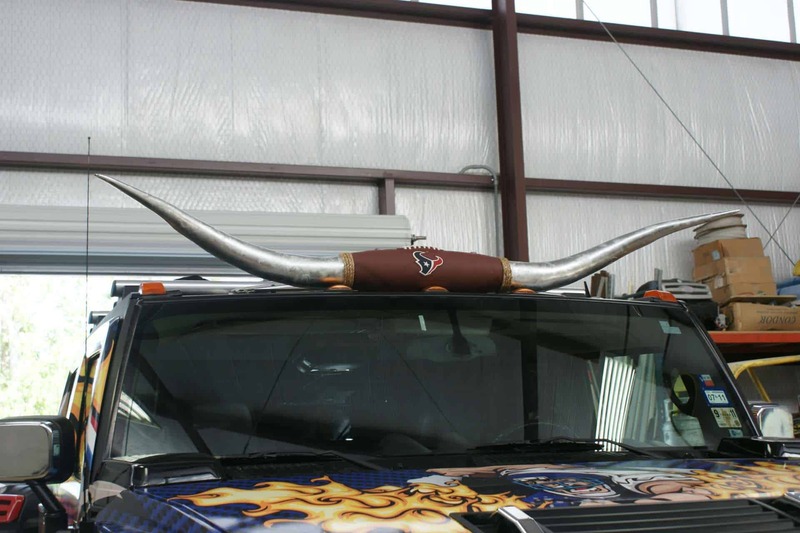 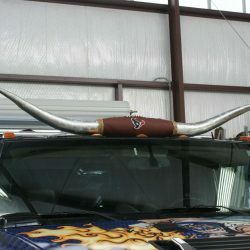 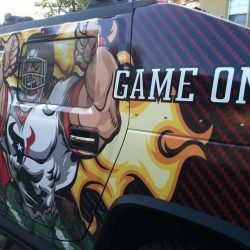 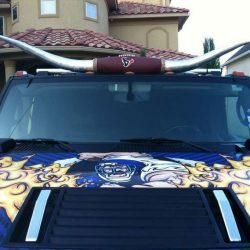 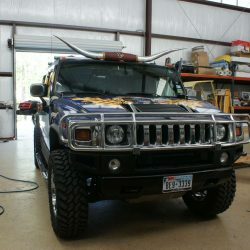 We added horns, smoke, a swing arm grill and built a custome slant back that houses the TV / Audio system. 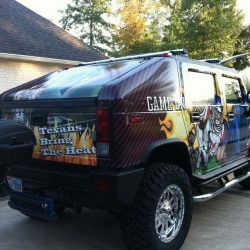 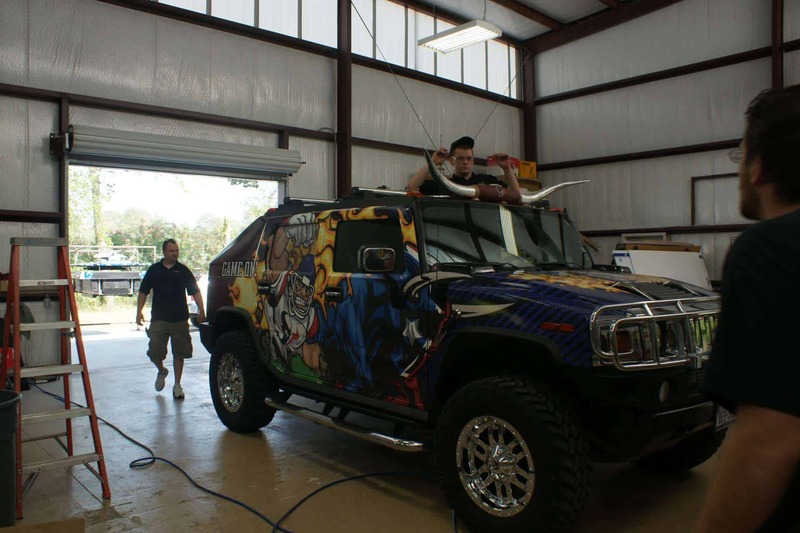 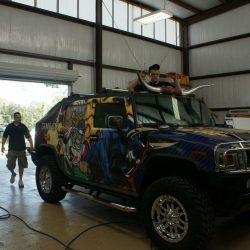 The last thing we did was give it a vehicle wrap that demands to get noticed!